Happy Tuesday, Ya'll! 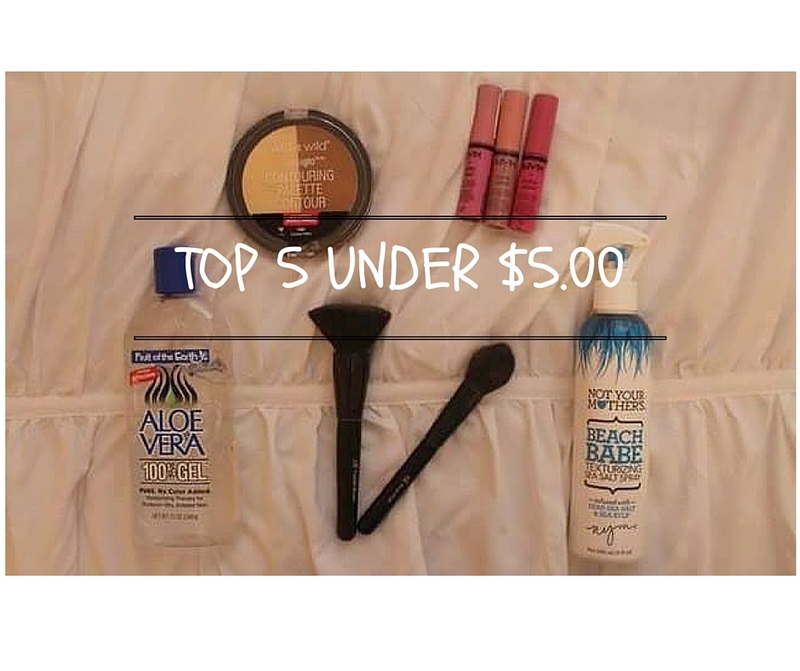 Today I wanted to share with you guys my top 5 favorite products that are all under $5.00 each. I tried to pick and choose items that I use on nearly an everyday basis, and some of these I actually prefer over "higher end" products. 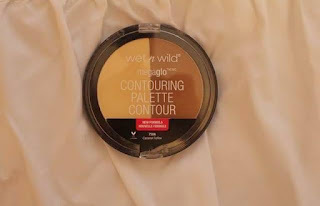 The first item I chose is this Wet N' Wild contour palette. This one was raved about all over youtube so I figured I would give it a try, and i'm so glad I did. The contour shade has a bit more of a warmer tone than I prefer, but the highlight shade is amazing and I use it every single day. It's also completely matte which I love! 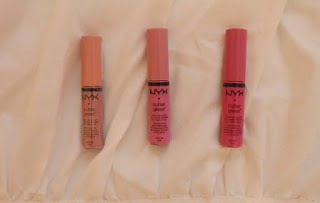 The second product I chose is the NYX butter gloss. I'm actually super picky when it comes to lip glosses because I don't like the feeling of having something heavy and sticky on my lips. But I like these because they are super lightweight, they look great, and they have a large color selection. They make my lips really soft too, which is a plus! The third one is a skin care favorite of mine. I actually discovered this one from one of my favorite youtubers (iheartmakeup92) that struggles with acne very similar to mine. 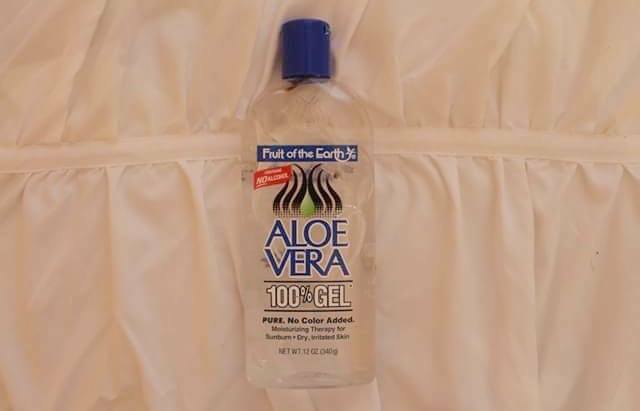 Applying aloe vera to the skin doesn't clear my acne, but it really speeds up the healing time. It also illuminates redness and moisturizes dry skin. Definitely one of my holy grail skin care products and it only costs about $4.00. 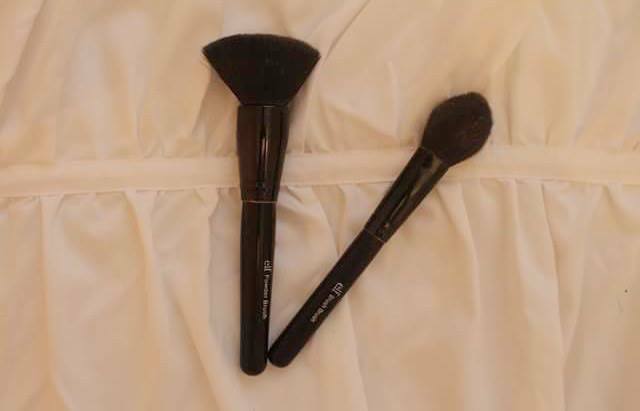 The fourth product I chose are the Elf makeup brushes. I'm sure you have all heard of these, they are great for the price. I use the flat top foundation brush and the blush brush daily. Last but not least, my favorite "Not Your Mothers" hair product. 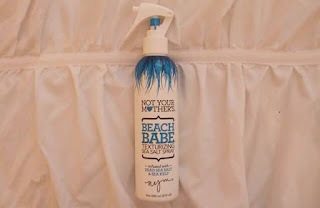 This texturizing sea salt spray is perfect for days when I don't feel like putting a whole lot of effort into my hair, but still want it to look cute. It gives really pretty waves and manages frizz. It smells amazing too! I hope you all enjoyed my Top 5 under $5.00. 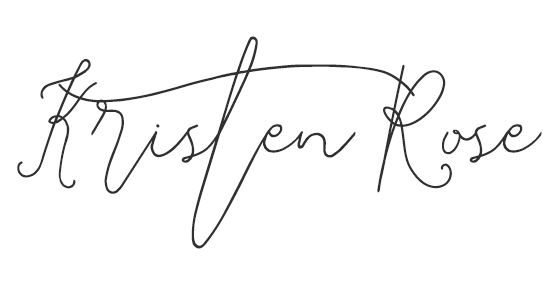 Let me know what you know what you think and if you tried any of these products out. I linked all the products above! 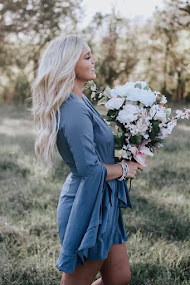 "But let your adorning be the hidden person of the heart with the imperishable beauty of a gentle and quiet spirit, which in God's sight is very precious."